Persian Internet Television - Watch Persian online television and video and practice your Persian! 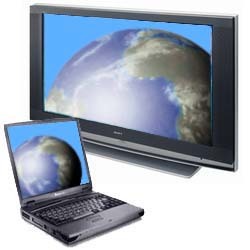 Welcome to our online television pages, featuring a listing of internet TV streams and online video feeds to help you practice your understanding of foreign languages and become fluent in the culture and news of other lands. Note: These stations require the Real Audio player, the Windows Media Player, and the Apple Quicktime player. If you don't have these already installed, all of these have free installations that can be found at the links above. Links with the (indirect) designation won't stream directly from this page, but send the user to the radio site's web page, which feature their own interfaces to play the radio station; these usually require ActiveX controls to be turned on in Internet Explorer. Buy the FSI Digital Editions from the Travlang Download Store and receive them today! This is the same content from the hardcopy editions, but with the text in PDF format and the audio in MP3 format. Those who are learning a new language need ways to exercise the hearing and comprehension of speech, and if they don't actually live in a country or area where the language is spoken, these sources are in short supply. For the absolute beginner, there are audio recordings and foreign videos and DVDs with which we can follow along and practice our understanding of speech, stopping and starting them to catch phrases that eluded us or focus in on nuances of pronunciation. But for those further along, what is needed is something more like an actual conversation - speech taking place in real time that is continually new, that conveys information that we are interested in. Fortunately, with the advent of the internet, there are now many foreign online television stations, and so we have provided a listing of online TV streams featuring television shows, television news, and music TV in the native language to practice your understanding of foreign languages.